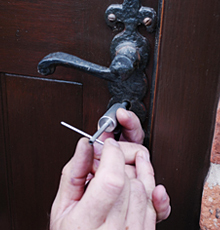 Experts in lock repairs, regardless of how old the lock is or who fitted the lock in the first place, SF Locksmith provide a proven, affordable repair service to domestic and commercial clients within the Sheffield area. Our two year guarantee on all work undertaken is a measure of our confidence that our customers will be left completely satisfied with the level of service received. Call us now for an instant response from our friendly engineer. 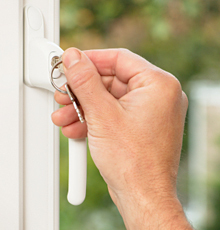 With extensive knowledge, SF Locksmith are experts in lock repairs and pride themselves on a high level of customer service to homes and businesses throughout the Sheffield area. Given our experience, we are in a position to repair a wide range of makes and types of locks, replacing parts when required which come with a two year guarantee; the only locksmiths in Sheffield to do this. Only when our customers are satisfied with the completed work is payment taken which can be via debit card, cheque or cash. As a knowledgeable and fully trained locksmith, SF Locksmith can repair all makes and types of door locks and door lock mechanism, on any type of property. SF Locksmiths are also specialists in the repair and replacement of almost all window lock mechanisms, on any type of property. We will replace any broken window locks with quality products at incredible prices. Even though a repair to a window lock can be seen as a small job, we will treat the work with the same urgency as our door lock repairs. To avoid any confusion an approximate quote will be given over the phone for the task. We understand that your security is essential and our winning repair team will ease your problem instantly. We are confident that you will not be left disappointed with the quality of our completed door repair and window repair. Stephen was very easy to deal with and did a great job!